Back in the lead in the Metalman Classic class are Mark and Chris Kirk-Burnnand (#293 BMW M3). The second-to-last day of any multi-day Targa NZ event traditionally exacts a toll on the field – and on this year’s five-day marathon from Auckland to Wellington, today’s 168kms of special stages from New Plymouth to Ohura and back certainly did that. Though he still has an overall event lead of just over five minutes, defending Targa NZ title holder Glenn Inkster and co-driver Spencer Winn (Mitsubishi Evo 8) have another long night tonight working with their crew to sort an engine issue which slowed the long-time event leaders dramatically over the last two stages. After being almost a minute quicker than second placed Nic De Waal and co-driver Shane Reynolds (Subaru Impreza WRX) on the 38.4km run into the self-declared ‘Republic of Whangamomona’ in the morning, then 45 seconds quicker than former NZ Rally champion Chris West on the Ohura stage immediately afterwards, Inkster was just over two minutes slower on the 39km return from the Republic after the lunch stop (for an uncharacteristic sixth place). 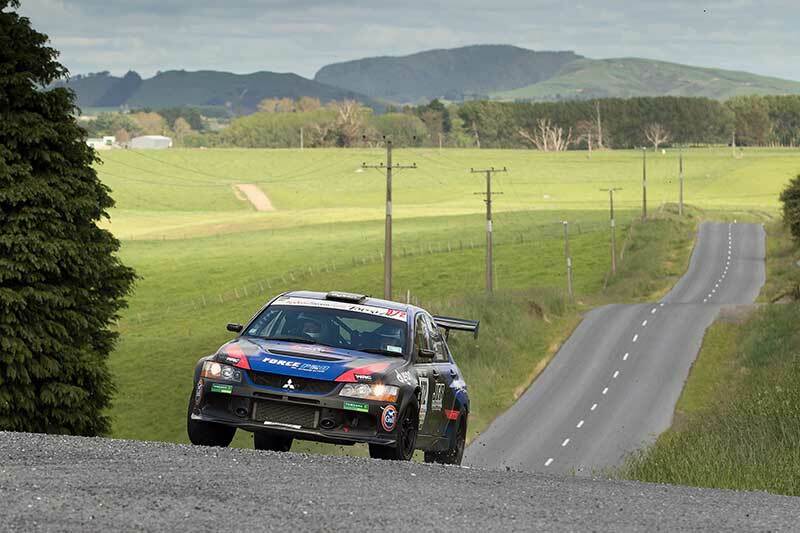 He and Winn then slumped to 23rd as they went into limp-home mode in the day’s final stage (the 24.9km Maata east of Eltham) before facing an hour-and-a-half transport stage back to the event’s final overnight stop in Palmerston North. Others to strike trouble (or strike out!) 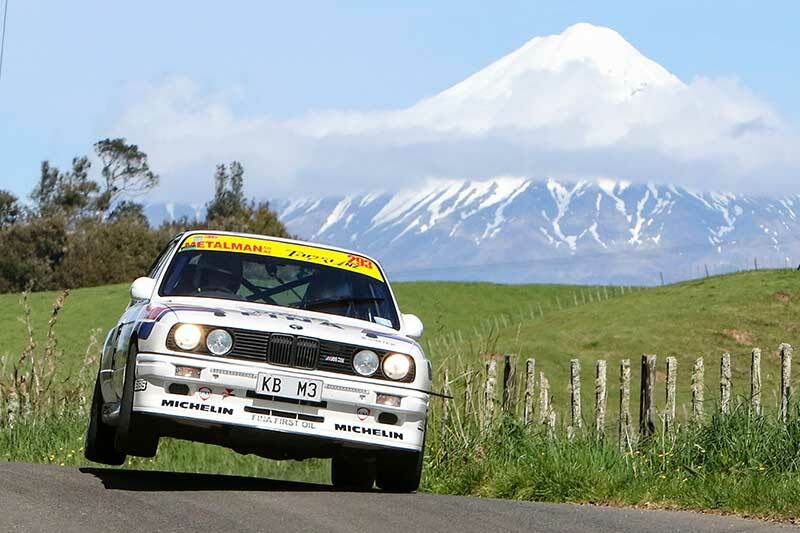 included impressive Global Security Allcomers 2WD class paceman Robert Darrington and co-driver David Abetz, and Metalman Classic class contender Peter Jones and his co-driver Ric Chalmers, both running off the road in the day’s second stage, the 13.2km Douglas Rd. 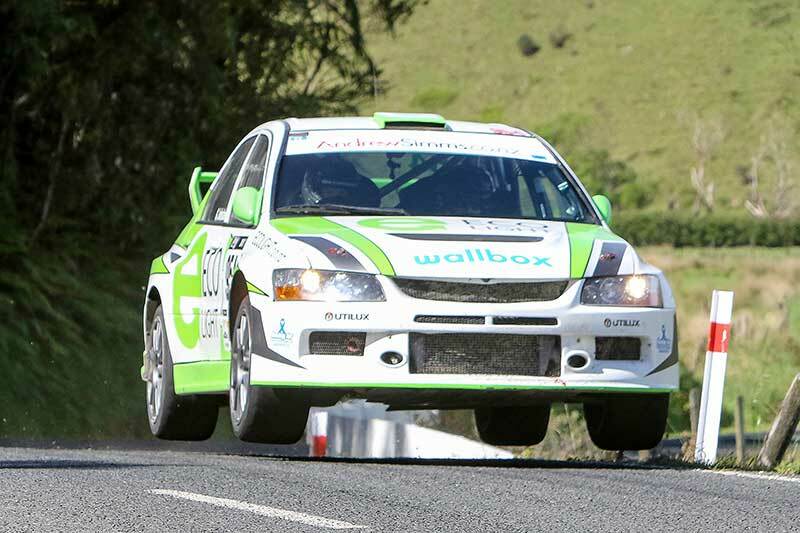 Also out today were veteran rally ace Brian Green and co-driver Fleur Pedersen (Mitsubishi Mirage Evo) after running as high as eighth, and Auckland pair David Rogers and Aidan Kelly (Mitsubishi Evo 10) who had been as high as seventh. With Inkster and Win struggling with their turbo manifold issue, Steven Kirk-Burnnand and co-driver Mike Hay (BMW 318ti Compact) rubbed salt into the wound by winning the return trip from Whangamomona, a first in this year’s event for a non-4WD car. Steven, the son of Auckland event stalwart Barry Kirk-Burnnand and cousin of Metalman Classic front-runner Mark, has been one of the real hard chargers of this year’s event and though put back ‘in his place’ by 4WD stalwarts Jason Gill and co-driver Mark Robinson (Mitsubishi Evo 9), and the De Waal/Reynolds Subaru WRX, in the day’s final stage, the Kirk-Burnnand BMW Compact remains at the top of the Global Security Allcomers 2WD class leader board and is fourth overall. The name Kirk-Burnnand is back on top in Metalman Classic as well, after another incredible day which saw the lead swing back and forth between the BMW M3 of Mark and his co driving father Chris Kirk-Burnnand, and the Toyota Corolla AE86 of Palmerston North motor vehicle dealer principle Rob Ryan and co-driver Paul Burborough. At one stage the gap was down to a solitary second before Ryan and Burborough eased ahead until the run into Whangamomona where the Kirk-Burnnands returned the favour and by day’s end had eked their advantage back out to 22.5 seconds. Tomorrow, the final day of the 2017 Targa NZ event sees the field head from Palmerston North to Wellington via 142kms of closed special stages in the Wairarapa in the morning and Kapiti Coast/Wellington region in the afternoon with a ceremonial finish at Taranaki Wharf at 5.50pm..
17. 558 Scott O’Donnell/Scott Milne Mini Cooper S) 4:17:32.